Aira is a fast growing team of passionate digital marketers. Aira have a wealth of experience, working with businesses ranging from SMEs to the world's best known brands. Their services include digital, inbound & content marketing, social media, digital PR, web design and development. Aira are a digital marketing agency with experts who deliver results. By getting to know your business, Aira work in partnership with you to build and implement strategies that truly make a difference. Whether it’s paid search, SEO, content marketing, or social media, Aira focus on your objectives to achieve real-world results. 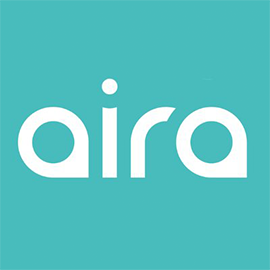 Aira is looking for a Digital Marketing Account Manager in England, United Kingdom. If you meet the requirements below, you will be eligible to apply via Digital Marketing Community. Manage client projects as the main point of contact and ensure that our work is aligned with their business goals. Talk directly to clients to understand their business, objectives and to regularly update them on our work and progress towards their objectives. Utilize the information you gather from the client to create a digital marketing strategy. Operate with various members of the Aira team to implement the strategy, as well as owning elements yourself. Responsibility from day one, so you should be comfortable in your skills to handle several client projects at once and the confidence to lead them. At least 2 years experience in digital marketing in either an in-house or in an agency role. Strong knowledge of Google Analytics and digital measurement. Proven track record in dealing with Paid Social Media (Facebook, LinkedIn and Twitter). Solid communication skills in person, over the phone and in emails. Sound and effective project management skills and experience. Expert knowledge of the digital marketing landscape including SEO, PPC, Social Media (both paid and organic). Demonstrated understanding of digital strategy and how to prioritize activities to hit business objectives. Deep knowledge of the customer journey online and how to optimize for that journey and meet customer expectations to improve conversion. A real passion for digital who don’t mind managing key stakeholders but also gets hands-on with campaigns. Confident in your abilities when it comes to both project management and delegation.